IBM sees cognitive computing as the new frontier of computing and is positioning its Watson architecture as the way forward in this new landscape, for both the company and its customers. 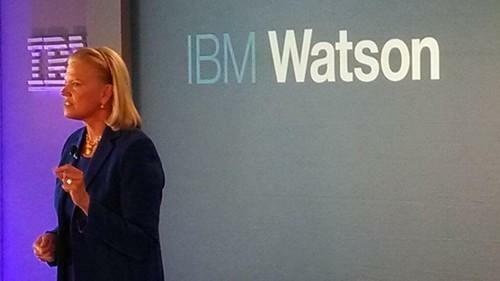 In a New York event Thursday to launch the organization's new Watson business unit, IBM CEO Ginni Rometty touted the 2011 Watson victory on the "Jeopardy" game show as nothing less than a harbinger of a new era in computing. Today we are in the "programmable era" of computers, in which all the possible actions that a computer can take must be programmed in advance, she explained. In contrast, Watson is "a new species," Rometty said. Watson "is taught -- it is not programmed. It runs by experience and from interaction. By design, it gets smarter over time and gives better judgments over time," Rometty said. While IBM has been pitching Watson technologies for commercial use at least since the "Jeopardy" win, the new business unit, the Watson Group, shows the level of IBM's commitment to the post-programmable era. 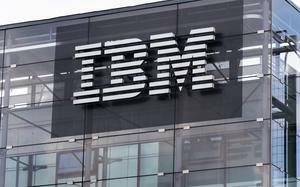 IBM will invest US$1 billion in the group and is installing the business unit in a state-of-the-art facility in New York's trendy "Silicon Alley" district. 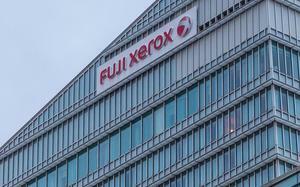 The company is also earmarking more of its money for furthering the still-nascent science of helping computers think for themselves. Now, about a third of all IBM research projects will be dedicated to some aspect of cognitive computing, said Guruduth Banavar, the IBM Research vice president who also spoke at the event. Currently, IBM has about 3,000 researchers worldwide. IBM first developed Watson as a research project to compete against humans on the game show "Jeopardy," answering obscure trivia questions across a wide range of topics. The Watson architecture was developed in part by tying together IBM research in machine learning, natural language processing, knowledge representation and other disciplines within computer science. Watson can formulate answers to specific questions using a range of source materials in various formats, honing its answers by, in effect, learning how to formulate the best responses through trial and error. This approach is known as cognitive computing because it involves a computer emulating a biological brain to learn about its environment. Now IBM is looking to apply this technology set for wider use. Michael Rhodin, the IBM senior vice president overseeing the Watson Group, spoke at the event of how Watson could be used in commercial settings. It can serve as a personal assistant, interacting with customers and sorting through troves of data for tidbits of useful information, Rhodin said. Unlike standard call-center interactive voice response systems, a Watson-based system can learn more about what a caller needs over the course of a phone session, helping address the caller's needs in a more timely, and presumably less frustrating, manner. The company has also been reaching out to other businesses and entrepreneurs to look for ways that Watson can be incorporated into products and services. The company has set aside $100 million to invest in startups that use Watson and will devote 500 technical experts in the group's New York office to helping these organizations become more familiar with the technology. Thus far more than 890 parties have started experimenting with IBM-hosted Watson services. A few of these companies demonstrated prototypes at the launch event. One such company is MD Buyline, which supplies detailed product reports about medical equipment to hospitals. Currently, the company analysts assemble these reports from manufacturers, clinical studies and other sources, said Douglas Taylor, a MD Buyline product manager. Today the hospital purchasing committees have to go through "mountains and mountains of data to figure out what they want to standardize on and what they want to purchase," Taylor said. "By plugging Watson into the equation, we can make that happen in much more real-time fashion." In MD Buyline's prototype, called the Hippocrates Procurement Advisor, a user can make a query about a type of equipment. Watson will return a set of results listing all the products in that category. The user can then ask additional questions to narrow down the possible list of choices, to better identify which piece of equipment would be ideal for the job. "We're dynamically building reports that would take a week or two to generate through our experts," Taylor said. Taylor said MD Buyline doesn't foresee the additional cost for using Watson as being prohibitively expensive, given that the service could save hospitals money by shortening the procurement review process and potentially even reducing outside consultation fees. Nor does MD Buyline worry about being locked into, or becoming overly reliant on, using IBM's Watson. The data MD Buyline uses comes from multiple parties -- hospitals, manufacturers, the company itself. In the process of integrating Watson into MD Buyline's own systems, IBM has maintained very clean boundaries of data ownership, allowing data owners to keep control of their own material, Taylor said. Another company working with Watson is Welltok, which developed a mobile app that offers personalized recommendations on maintaining a healthy lifestyle. For instance, the app, called CaféWell, can recommend healthy places to eat based on the user's location and dietary restrictions. Welltok is experimenting with using Watson to make its system more interactive, so the user can just ask where to eat, and Watson will automatically apply all the relevant metadata to quickly supply the best answer. Like MD Buyline, Welltok doesn't yet see adding Watson-based functionality to its service as prohibitively expensive, said Jeff Cohen, a co-founder of Welltok. Welltok's primary customers are health insurance companies, which purchase the use of the app on behalf of the people they cover, in hopes they will use it to make healthier lifestyle choices. "The health plans we already work with are excited to add on the capability to what they are already doing," Cohen said, noting that any feature that encourages healthier lifestyle choices, which could cut medical bills, would be seen as a financial benefit for these health plans. While the Watson Group works to fit Watson-based cognitive computing into commercial settings, IBM Research will continue to further develop the technology itself, Banavar said. Some of the work that IBM Research plans to do will be around developing new ways to get computers to understand and interpret non-written information, such as images, animations, audio and video. "We're not just talking about understanding the metadata, but understanding and learning from the content over time," Banavar said. For instance, a cognitive computing function could look for anomalies in MRI images. "Accuracy can be greatly improved when you adopt a tool that learns anomalies over time, through large data sets and through training of human experts." It will also investigate new ways for computers to recognize patterns and reason about the data on hand. Today's computer architecture isn't well-suited to recognizing sometimes subtle patterns in very large data sets, Banavar explained. And while Watson is good at assembling answers from large data sets, it could be improved by better understanding the logic needed to derive a correct answer, and whether that logic can be applied for other queries. "It needs to make a judgment about whether that sequence of logical steps, and the evidence underlying that sequence, are appropriate for the particular situation," Banavar said.